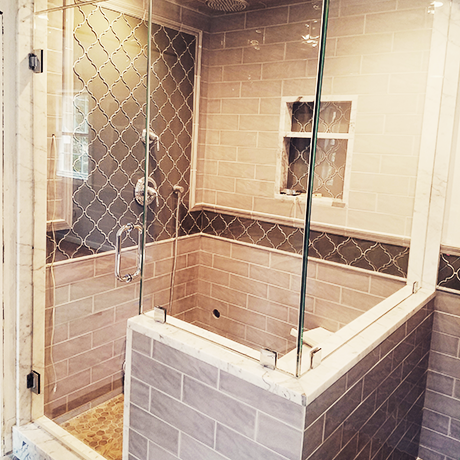 For Artisanal Quality Architectural Glass Fabrication, Heavy Glass Tub and Shower Enclosures! 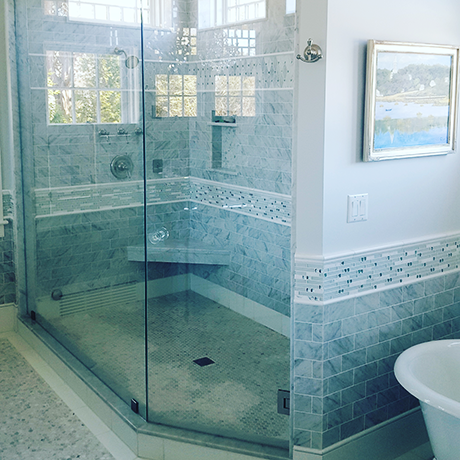 Since 1986 Sarno Glass and Mirror has specialized in designing, manufacturing and installing artisanal quality glass projects for architects, contractors, designers and discerning homeowners in eastern Ma. Sarno Glass is family owned and staffed, and our family pride and the attention we place on the little details is what defines us. We take the same care with your project and have the same respect for your home or business as we do with our own. That's our guarantee. 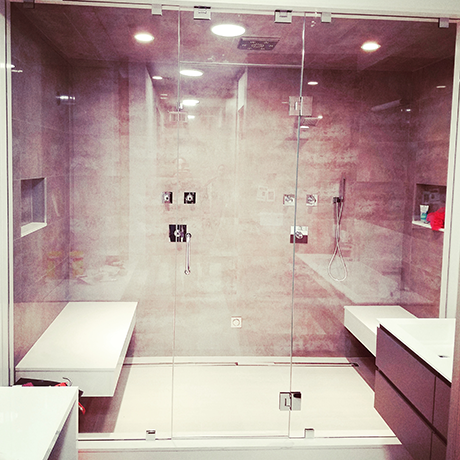 If you have a challenging glass project or just require the best service and quality available don't hesitate to contact Sarno Glass and Mirror ASAP. 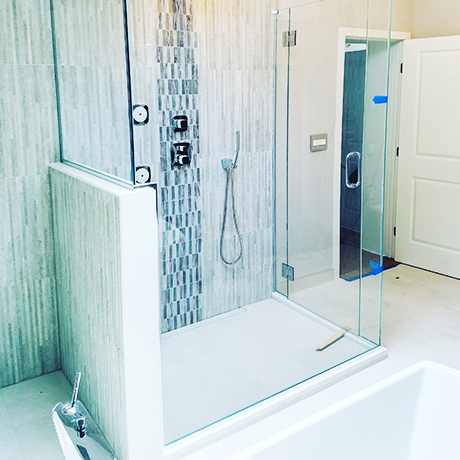 We'll personally over see every step of your project from taking the field measurements, to producing the shop drawings, to the fabrication and installation, right through a meticulous after installation clean up. Sarno Glass & Mirror, a Family Owned Business That Works Hard to Earn Your Trust. Find out what Sarno Glass can do for you! Get a free consultation. We invite you to investigate our major supplier's web sites by clicking on their logos below.